Felt Washing Water Heating System - Hydro-Thermal Corp.
Tests have shown that when the shower water is about 122°F [50°C] the detergents and microbicides dispersants are most effective. This is true whether the washing system is continuous, intermittent or whether felts are washed during shutdown periods. 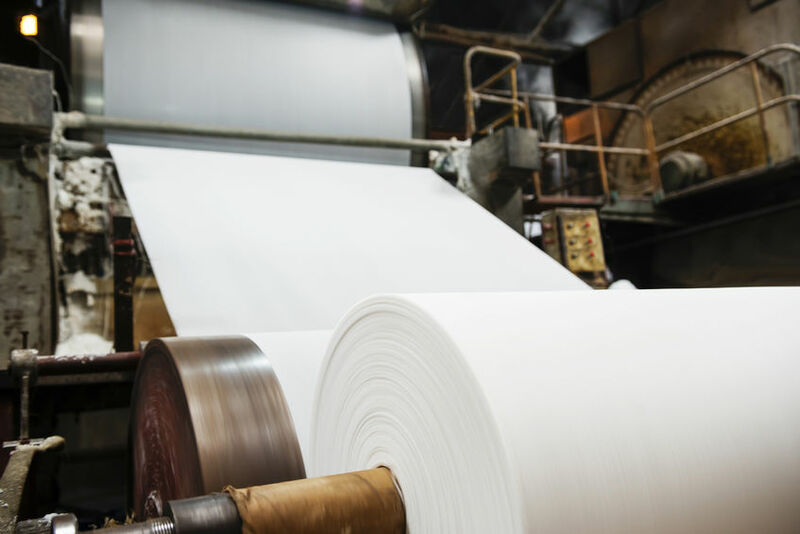 It’s essential that felts be kept as clean as possible to not only prolong their life, but more importantly, to maintain paper machine production speeds and minimize downtime. There are no frills in this felt washing water heating system. It was designed to give dependable service, quicker response and assure delivery of heated water at the temperature desired. Felt cleaning schedules never need to be worked around any warm-up periods or shutdown delays. Heating starts instantly and stops instantly. At the same time, it is completely safe because raw steam never contacts the felt. Water must be flowing through the flow switch before the steam supply is turned ‘on.’ The steam supply valve is closed immediately should therebe an interruption in water flow. An automatic Hydroheater is the heart of the system. It quietly heats the water while it modulates the steam flow. High velocity steam produces the turbulence for instantaneous heating and prevents scaling of internal surfaces. The two-response temperature controller senses the heated water temperature just downstream of the automatic Hydroheater and provides the output pressure for precise control. The other two items in this system, one flow switch and one solenoid operated steam valve, work together to prevent any steam from coming in contact with the felt. As soon as water flows through the flow switch, its circuit is closed, energizing the steam solenoid. Only then does steam flow to the automatic Hydroheater. Many paper mills are using this low cost controlled felt washing water heater system with automatic Hydroheaters. Some of them have been in operation for 10 or 15 years without any major maintenance or parts replacement. When this system is used, felt washing water heating problems will be solved.